KINGSTON, Jamaica (AP) — Thousand reggae fans crowded a Kingston park late Thursday to watch a screening of a documentary about Bob Marley, the charismatic icon of reggae music who brought the Jamaican musical genre to every corner of the globe. "Marley," which will be released worldwide on Friday, premiered in his Caribbean homeland to high praise from Jamaicans who marveled at footage showing the late singer's impassioned interviews, family life and loose-limbed stage presence. Drummers with their long dreadlocks tucked into crocheted caps performed traditional rhythms and chants before the film in homage to Marley's Rastafarian faith, the homegrown religion that reveres Ethiopia's deceased Emperor Haile Selassie as a god and considers black people living outside Africa as captives in a foreign land. "We started the music together. As he got bigger, he didn't change that much. Always stayed a very nice guy," said Patterson, a close friend of the singer's and a longtime percussionist in Bob Marley & The Wailers. The documentary, a long-in-the-works project authorized by the Marley family, takes a linear, biographic approach that takes nearly 2 1/2 hours to tell the Jamaican songwriter's life story through friends and relatives. Born in rural St. Ann parish in 1945, Marley rose from the gritty Kingston slum of Trench Town to global stardom in the 1970s with hits like "No Woman, No Cry," ''Get Up, Stand Up," and "I Shot the Sheriff." His lyrics promoting social justice and African unity made him an icon in Jamaica and other developing countries. Some even consider the musician a prophet, saying his lyrics promoting peace, "one love" and social justice have resonance today as Jamaica continues to struggle with violent crime and poverty. In Jamaica, the lore surrounding Marley is rooted in the state-sponsored political violence of the 1970s, when Jamaica's leaders used street gangs to sway voters. Under pressure to choose between Michael Manley's People's National Party and Edward Seaga's Jamaica Labor Party, most reggae stars remained neutral. They moved among Kingston's chessboard of warring communities and chronicled the suffering. Following a deadly 1978 military ambush of gang members allied to the opposition, Jamaica's reggae stars took the stage at a Kingston concert to support peace. 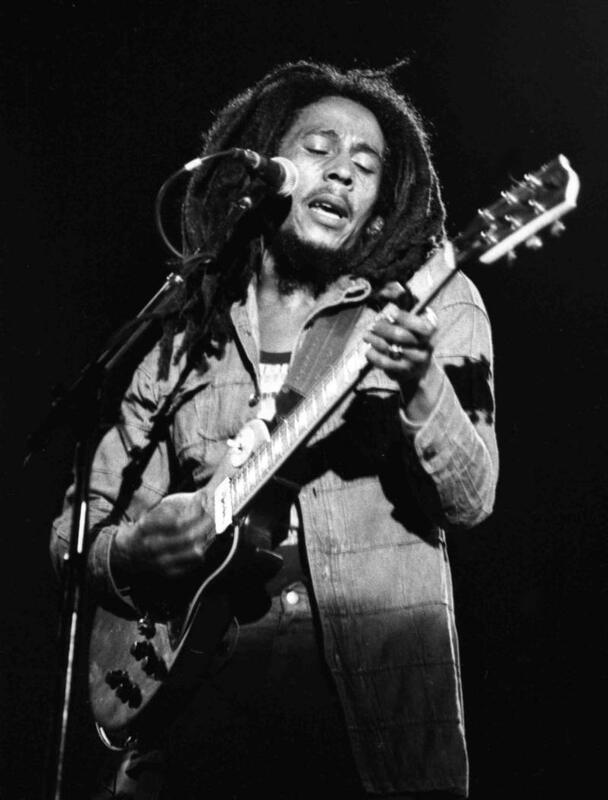 But the concert's highlight — a moment that has become immortalized in Jamaican consciousness — was when Marley made Seaga and Manley clasp hands over his head and promise an end to the violence. It didn't, and Jamaica saw years more of political violence. But Marley is celebrated as a musical visionary and a man of conviction in Jamaica. Schoolchildren know his "One Love" hit by heart. "I learned he was a good man in school," said 11-year-old Oneal Harris, who attended the screening with his mother.